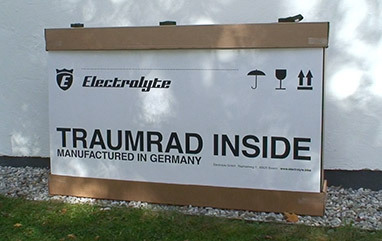 Electrolyte Bikes are custom-built to your specifications and simply delivered to your door. 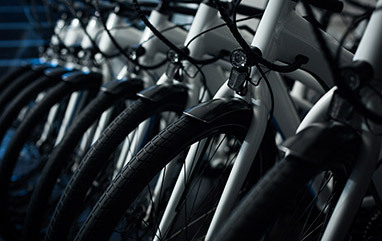 You receive a completely assembled bicycle, ready to get on the road. Unpack, straighten the handlebar, tighten, attach pedals and go. Direct communication makes your service experience simple. Get in touch and we'll do the rest. Whether we send a service tech to you, organise a pick-up or talk you through some tips & tricks, your dream bike will be back on the road as quickly as possible – we're here for you. Are you riding a Vorradler? Of course you can also drop by and bring your bike in. Anything that can be done quickly, we'll do on the spot. If it takes longer, we'll find a way to keep you riding. When the days get shorter and temperatures reach close to 0 degrees, please take your batteries out of your bikes anytime you leave them outside – not just over-night. It's no problem to ride the bike on cold days (of course the range will be a little bit less), but the battery should be kept in warmer areas while not in use. Please always lock the battery locks, to avoid damaging the batteries. Only remove the battery once you turned off the system and all lights. How does ordering work and how does the bike get delivered? Are you interested in a company bike? 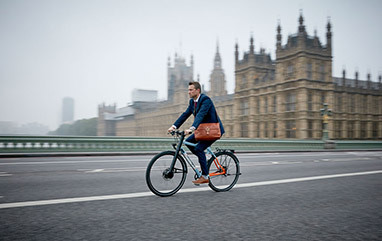 Leave the rush hour behind and do something healthy.